Hi, my name is Rai and I'm originally from Batuyang in Batubulan village, which is famous for it's dancers and culture. 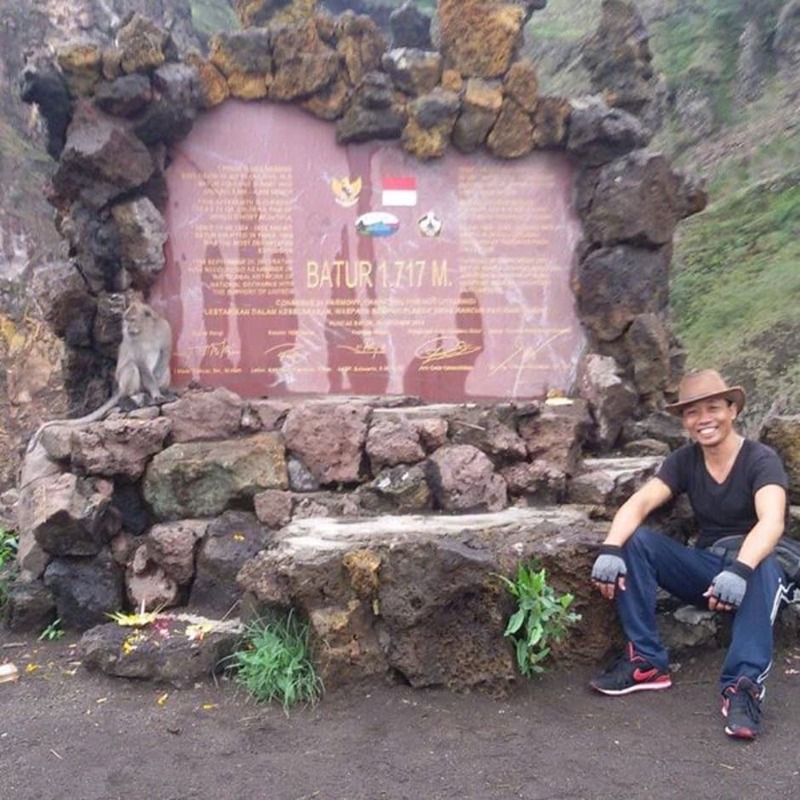 I've been a guide in Bali since 1995 and love showing everyone my favourite parts of the island. I'm actually an enthusiastic angler, and love to fish in my free time. 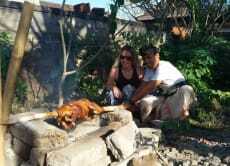 I consider myself passionate about cooking authentic Balinese food and have been doing this all my life. Let me show you the Bali you came to see! We've had a few tour guides on Bali but Rai is by far the kindest and most welcoming man we have met, he made us feel right at home on the Island and has great knowledge about the history and culture. He went above and beyond when we needed help and was a very dear friend to us. This tour is a good first introduction of what Bali has to offer in the art and craft area, you get to see how things are made and also buy whatever speaks to you and ask many questions. From this first tour we then also did a purification at Tirta Empul with him on another day, as Rai meditates and has priests in his family he could really lead and support us through this special moment in our lives. We only stayed in Ubud for 2 days but this was the best experience we had. 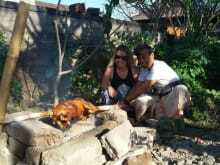 Pak Rai took us to his traditional Balinese house and we prepared the dishes together. We arrived a bit late so we didn't get to see the market and the pig was already prepared for us, but there was still a lot to do, including grinding the spices with a stone mortar and pestle, and all of it was really fun. The food we ended up with was amazing. Pak Rai explained to us the meaning of each building in the temple in his house, and we also got to meet his family. After our babi guling feast, we had the option of stopping by a nearby Luwak Coffee cafe/farm and a silver workshop. We were tired so we just went to the coffee place. The cafe lets you try different flavored coffee and tea drinks for free (I loved the ginger coffee and durian coffee), and luwak coffee (coffee taken from the poop of luwak, a local racoon-like mammal) for Rp. 500,000 (about 5 USD), which is not bad. You get to see real luwak and coffee plants, and how the coffee beans get processed traditionally. Last but not least, Pak Rai was a nice host and fun to talk to. With airport/hotel pickup included (we discovered that this is the part that costs the most in Bali, at least in the Ubud area), and with the unique experience and great food and hospitality, this package was the best value for money we got in Ubud. Rai was a fantastic host-he picked us up at our hotel at 9 and took us all over Bali and he had some good suggestions on places and related sights that we didn't know about. My cousin left his atm card at a machine and he helped him get that back and book a flight to Thailand-Rai really made a big effort to make sure we had a great trip. Most importantly he's an easygoing good guy and I'd recommend his trips to anyone. My daughter and I loved this unique experience. Rai and Sri were fantastic. Very relaxed and generous hosts. We felt so much part of the family. We met Rai's parents, grandfather and children. The process of making our penjor was incredible. Rai's mother is a very talented artist. We learnt some great new weaving skills as well as the practical aspects of the penjor making. Some of it was very difficult but Rai's mother made sure we understood it even though at times it was too difficult for us to make ourselves. It was a real team effort to get it made in 4 hours. So exciting seeing it all come together and be raised in the family temple. 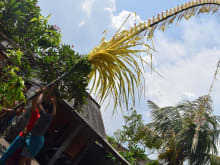 Rai explained the cultural significance of the penjor and while at his home he explained the significance of his families temple. If you get the chance to do this, it will be a highlight of your trip. Something very few tourists ever get to experience. Ever. Booking this experience was great with voyagin. Helpful, efficient and professional service. Great communication - thanks.